Clearly, we are Real Estate Agents. We realise, however, just as you do, that living is more than just having a roof over your head. We understand the importance of living in an environment which best suits your needs and where you will be feeling right at home. 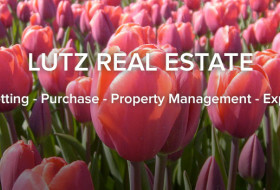 Therefore, Lutz Real Estate is known as a Real Estate Agency which has redefined the concept of living. We are specialized in Expat Service. For all your question Lutz Real Estate provide a fully relocation service and will guide you all the way.